Have You Requested A Steam Refund? Why? Steam refunds have only been around for a week, and it seems like a lot of people are already using them. Have you used the new feature at all? If so, why? Did it work? Valve’s implementation of Steam refunds has been contentious, but there’s no disputing that they need to exist in some form or fashion. Steam has evolved into a minefield morass of potential raw deals, between Early Access games that may never be finished, shovelware, and “full” games made of hacked together Unity demos. 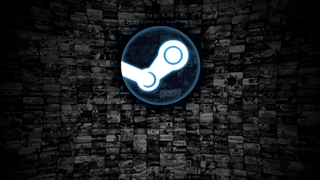 However, one of Valve’s stipulations—specifically, that refunds will be granted unless you’ve played a game for more than two hours—has given makers of shorter games reason to worry. What if people play their games to completion and then return them? So far, Valve has yet to add any extra stipulation to their policy concerning shorter games. Have you asked for a refund (or refunds) on Steam? What game (or games) had your piggy bank squealing for the return of its stolen innards? Was it shorter? Longer? And was it broken or unfinished, or did you simply dislike it as, well, a game? Have you managed to get a refund on a game you played longer than two hours or owned longer than two weeks? Also, when you requested your refund, did you ask for it to come in the form of Steam Wallet money or regular money? And lastly, have you tried gaming the system, getting a refund for something you finished? Or copying a DRM-free game and then returning it? Oh, and obviously, regardless of why you did it: did Valve grant your request? Did you get your money back?